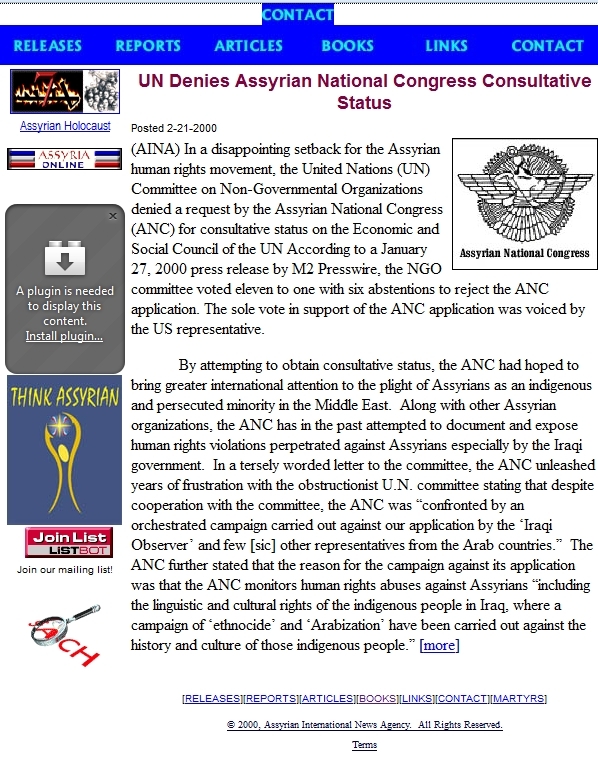 AINA was founded in 1995 by Firas Jatou and Peter BetBasoo. 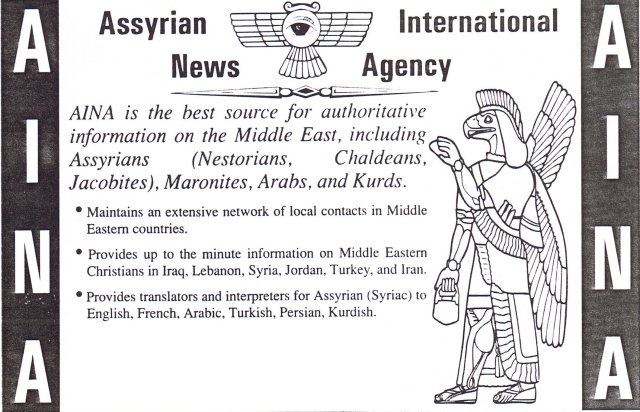 Initially it was a consulting agency specialzing in political analysis and commentatory on the affairs of the Middle East, as well as providing translation services for Persian, Arabic, Turkish, Kurdish and Assyrian. 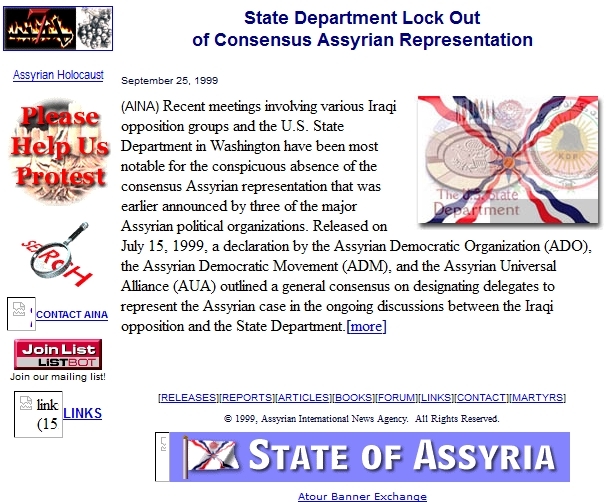 AINA advertised in 1995 and 1996 in the Yearbook of Experts, Authorities and Spokespersons, published by Broadcast Interview Source, which lists experts and authorities that are available for radio, newspaper and television interviews. 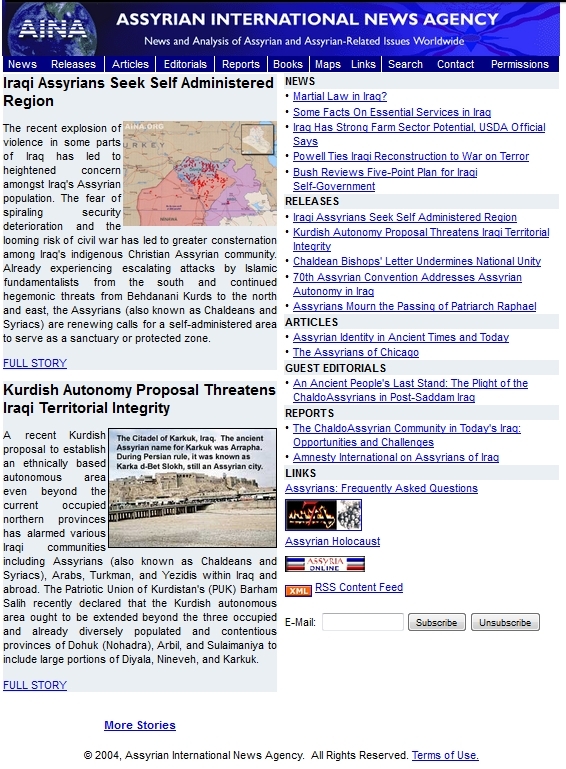 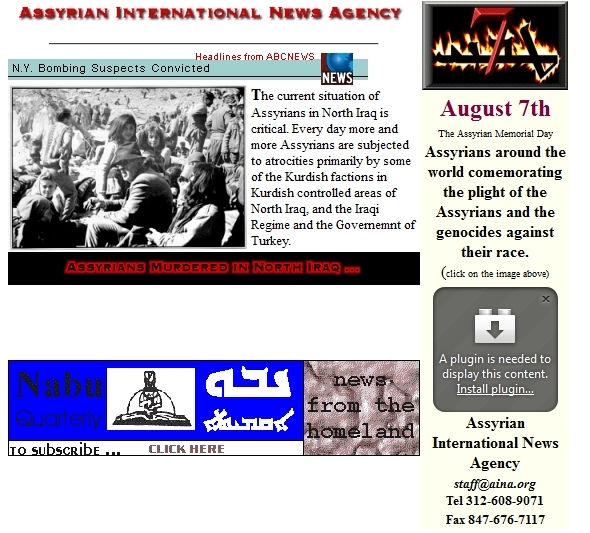 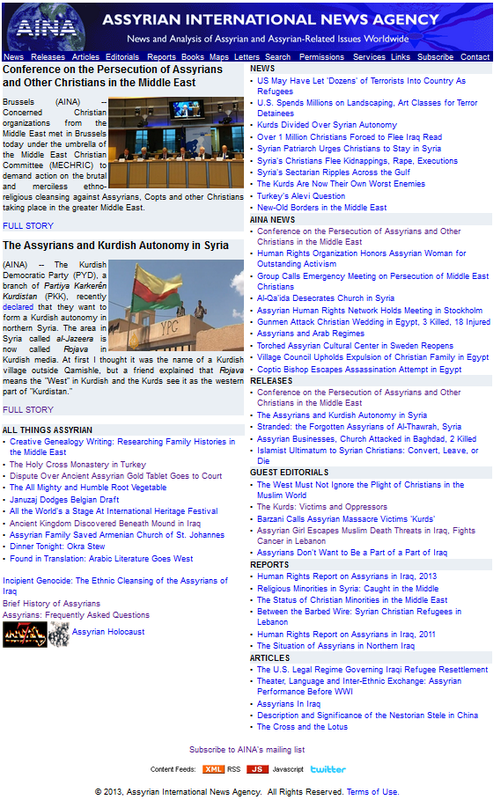 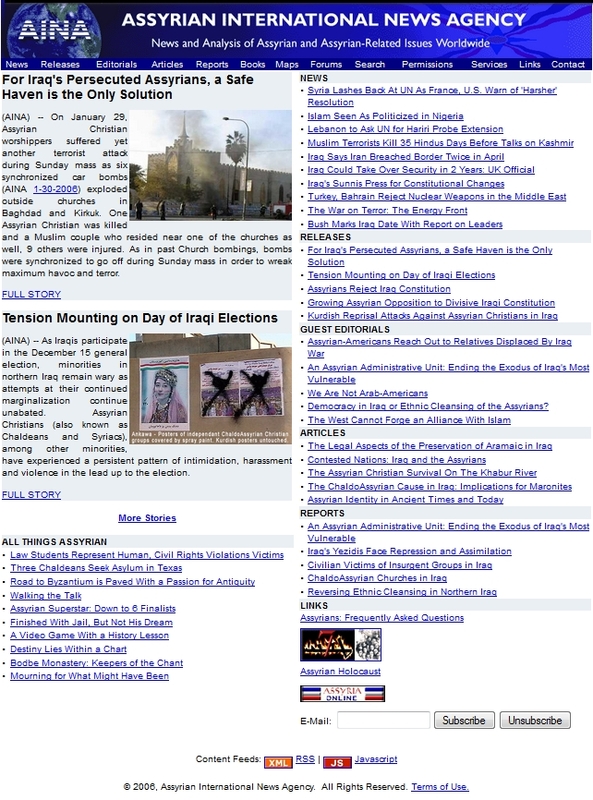 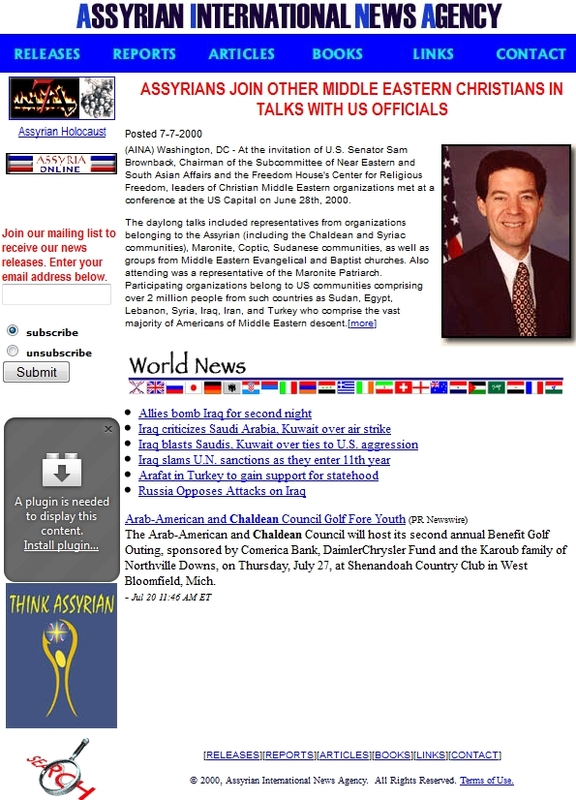 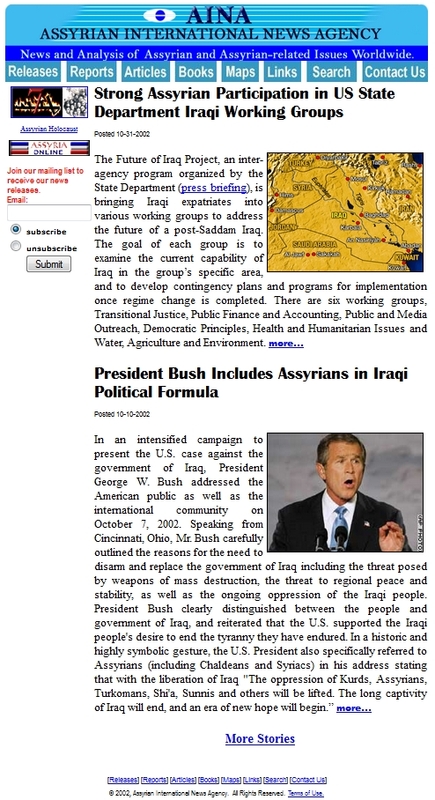 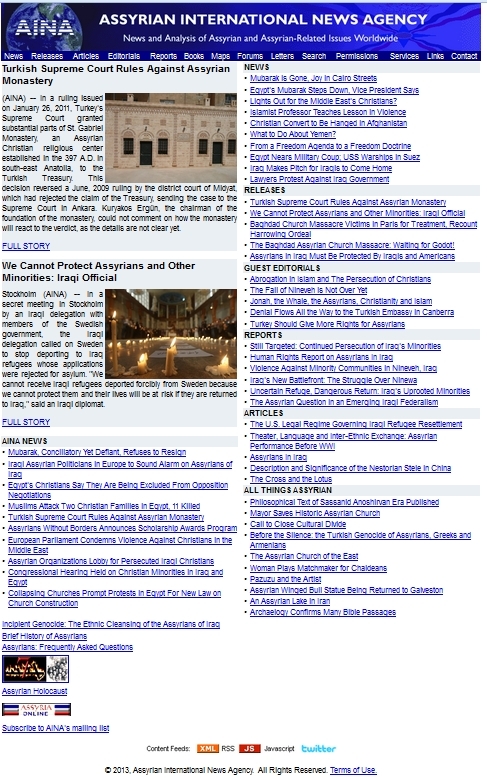 In those two years many journalists noticed the advertisement, which had created a demand for an Assyrian perspective in news reports from the Middle East. 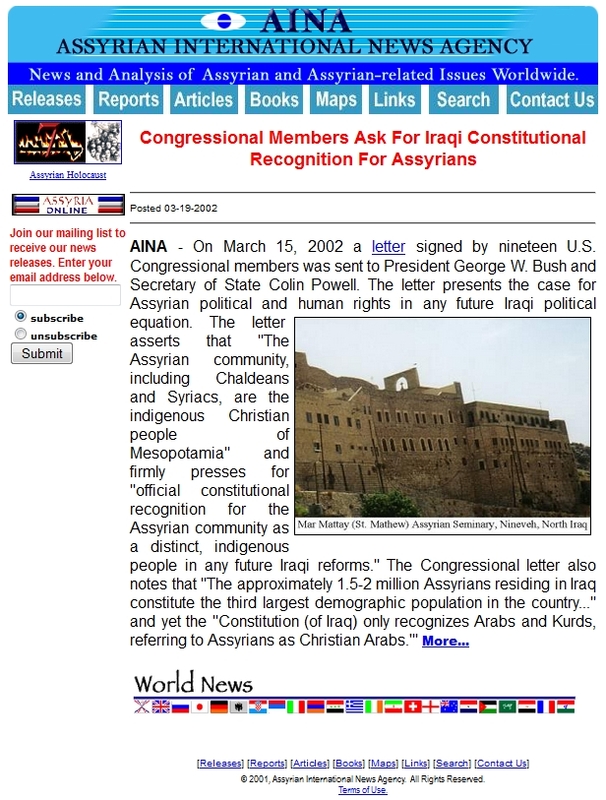 In March in 1997 Firas and Peter saw the potential of the internet to deliver the message to a wider audience and launched aina.org. 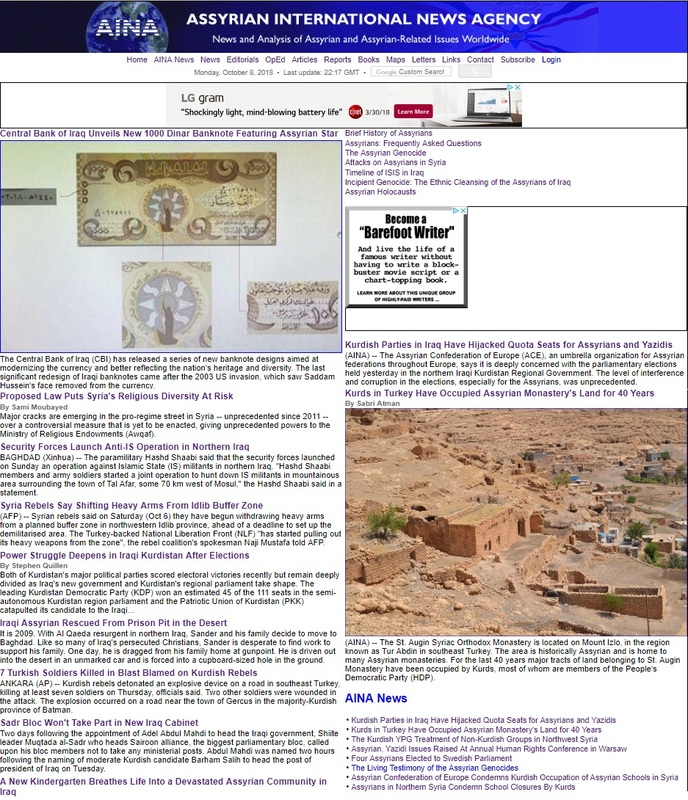 Here are images of what AINA looked like in the past.